You’ll find us in the picturesque Moreno Valley, just a half-hour east of Taos. Our town sits on the valley floor at 8,420 feet and the mountains surrounding us rise to over 11,000 feet. At the northern end of the valley, Wheeler Peak (New Mexico’s highest) sits at a majestic 13,161 feet. Our people are friendly and down-to-earth and our streets never feel too crowded. How cool! Angel Fire in Winter! In spring, summer and fall, the mountainsides form a backdrop of colorful meadows or brilliant golden aspens, and the weather’s always perfect. 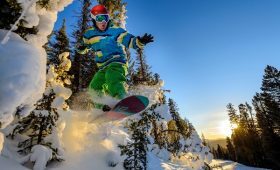 There’s a lot to do and it’s all right here, whether you’re an extreme sports fanatic or looking for low-key decompression. You can golf, hike, fish, mountain bike or just hang out by the lake. 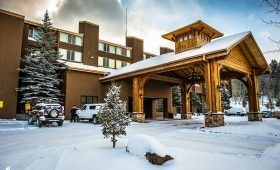 From the magnificent five-bedroom home with an outstanding view of Wheeler Peak to a traditional hotel room slopeside, Angel Fire has any lodging accommodation you might desire. Comfort is king because all our lodgers know that after a day on the slopes or out tramping in the forest, you want to kick back in true mountain style. 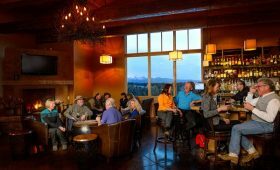 Taos Ski Valley has many dining options from casual pizza, to full service aprés-ski meals, fondue nights at The Bavarian, or relaxed family restaurants. Grab a green chile cheeseburger, refuel on local, grass-fed steaks or spice things up with the famous New Mexico green and red chile enchiladas. You will notice the laid-back easy style of Angel Fire in our shopping. 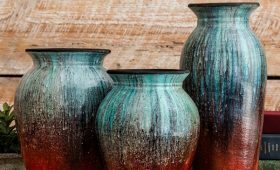 We have art galleries featuring northern New Mexico artists as well as contemporary art that will spark your imagination, the latest in ski and snowboard wear (or summer hiking and biking apparel), outstanding jewelry creations, toys, and a family-owned grocery store that can accommodate almost all your culinary needs. 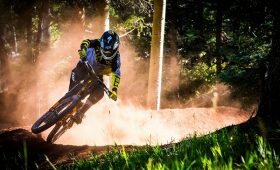 Enjoy Angel Fire and the Moreno Valley like never before. Take in the beautiful views as our chairlift rides take you to the summit of our mountain at 10,677 feet. 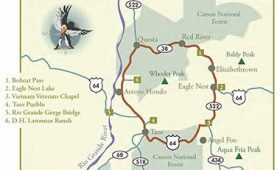 The Angel Fire Resort Zipline Adventure Tour features six ziplines at the top of the mountain, high above the stunning Moreno Valley. Offering horseback trail rides, in addition to breakfast and dinner rides, and carriage and wagon rides.